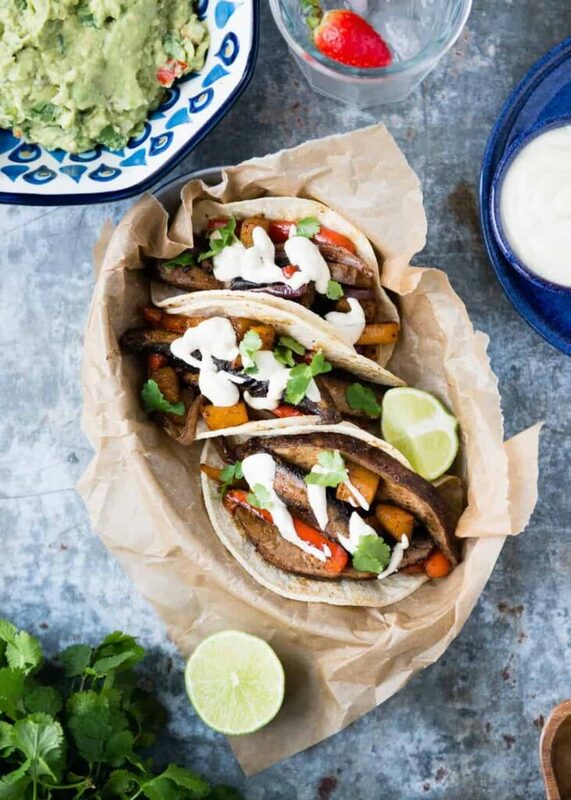 In a world of sheet pan chicken and fish recipes, vegetarian sheet pan meals can be a little tricky to find. But they do exist! And they make dinner a breeze. Who wants to juggle multiple pots on the stovetop? Or have to keep an eye on something in the oven while stirring veggies in a skillet? And, more importantly, who has time to wash all those dishes?! 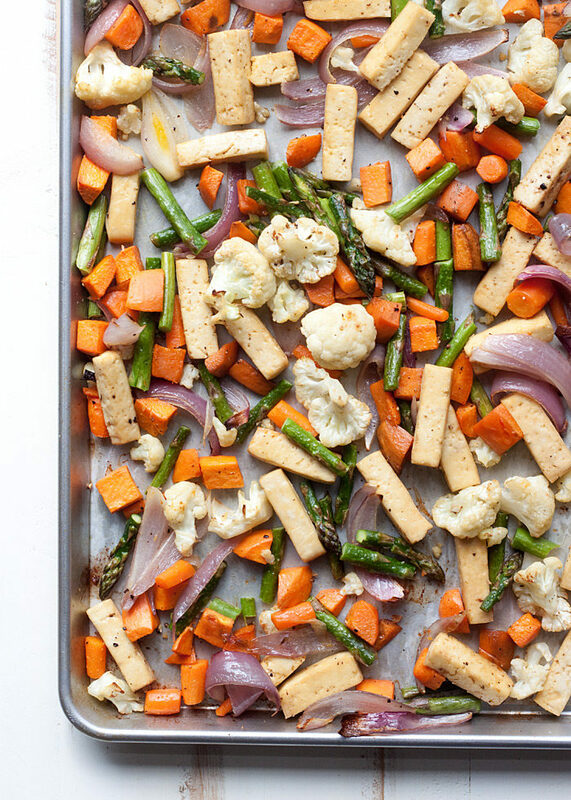 These vegetarian sheet pan meals are a complete dinner in a single pan for easy cooking and easy clean up. That’s a weeknight dinner win! 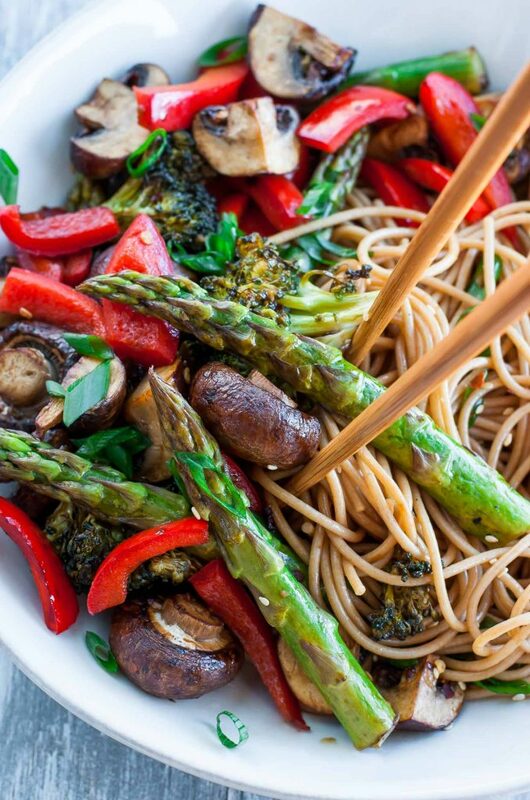 A homemade teriyaki sauce makes these roasted vegetables delectable. Add some cubed tofu to make it a meal. Nachos for dinner? Yes! 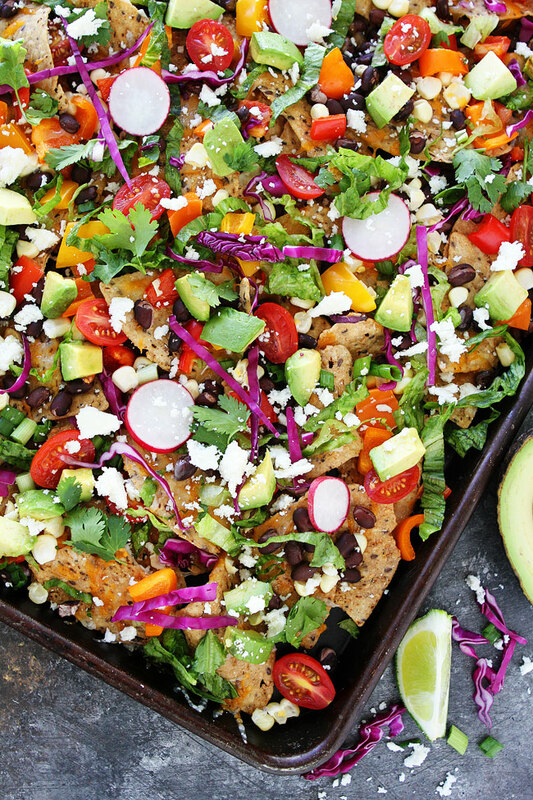 When they’re loaded with veggies like this, you can totally eat a big plate of nachos as a meal without feeling like you’ve time-traveled back to your college days. Substitute the sorghum with a microwaveable pouch of quinoa or rice and you’ve got yourself a meal bowl that doesn’t require a ton of prep and cooking. 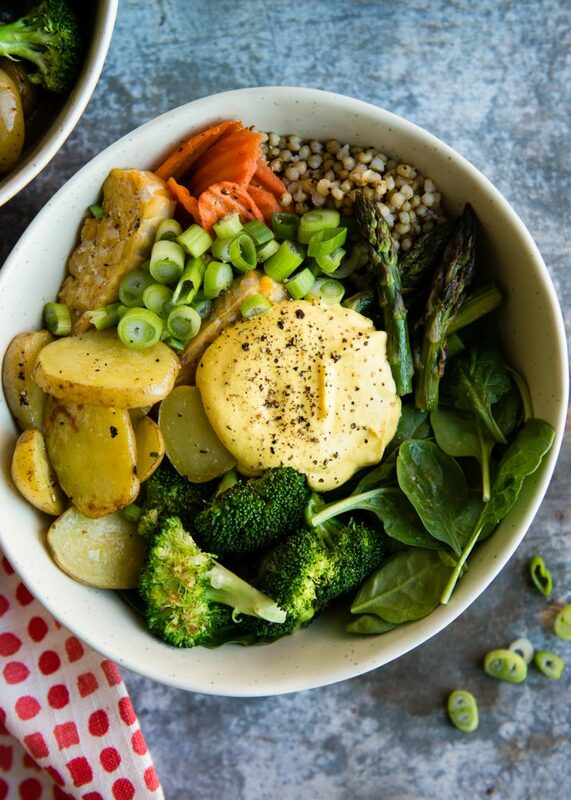 Stored winter vegetables like sweet potatoes and onions are paired with springtime favorites like asparagus and cauliflower to create the perfect meal for this time of year.